Thousands of people on the Norfolk and Suffolk coast were in limbo last night, as another political row blew up. Consultants were accused of “bizarre” behaviour after their response to 2,500 objections to a plan to stop defending much of the coastline was ignored. Critics said the long-awaited report by Halcrow about public consultation on the draft Shoreline Management Plan (SMP) did not address the issues of compensation and social justice for those whose homes could be washed away. Now officers are penning a “foreword” to the document. Last night North Norfolk MP Norman Lamb said he was “flabbergasted” by Halcrow’s response, a year after the public consultation closed. Environment minister Elliot Morley has agreed to meet a delegation from north Norfolk in London on May 17, including Mr Lamb, coastal campaigner Malcolm Kerby and deputy council leader Clive Stockton. 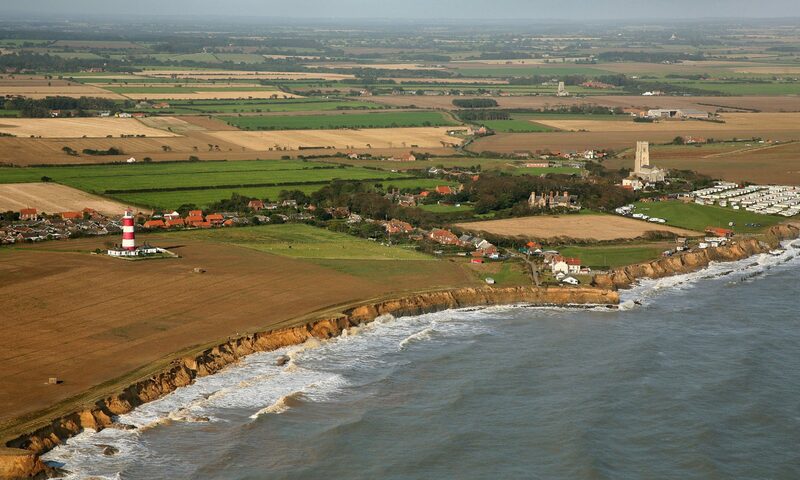 Communities are under threat if the draft plan’s “managed retreat” policy is adopted – including Overstrand, Mundesley, Happisburgh, Winterton and Scratby. Halcrow was commissioned to carry out the latest work as part of an attempt to adopt the SMP, which covers the coast from Kelling to Lowestoft. The draft plan advocates letting all parts of the coast go except the main towns – the current plan proposes defending the whole coast. It has been put together by a group of organisations, comprising North Norfolk District Council, Yarmouth Borough Council, Waveney District Council, English Nature, the Environment Agency and Great Yarmouth Port Authority. The group received Halcrow’s response to the public consultation a few weeks ago, and ruled that it was “unsatisfactory”. Mr Stockton said: “The SMP doesn’t address people. The Halcrow report has ignored the fact that there were 2,500 objections. “It effectively dismissed them as irrelevant. But this is a process that could condemn huge numbers of people to a watery end. Mr Kerby said: “We are in limbo. All the time this new SMP is held at bay, the old policy stands.